This doesn’t mean stocks or house prices will crumble next week. But if history is any guide, the downturn will come sooner or later. No market goes to the moon. 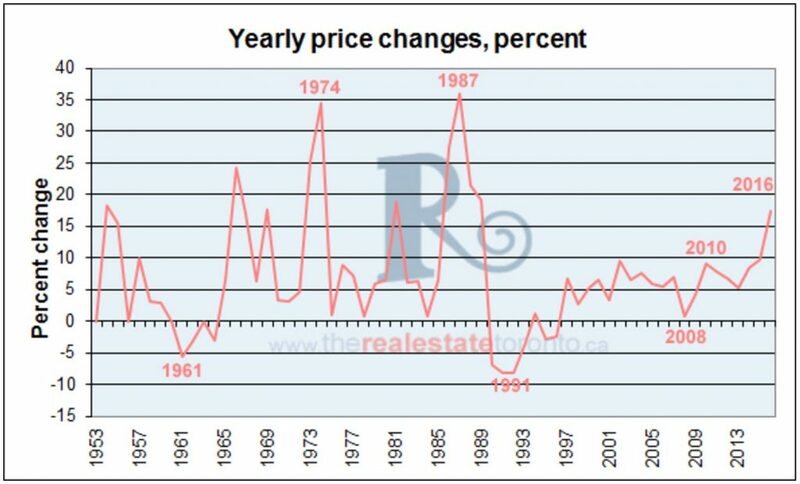 The average-price chart (adjusted for inflation using 2016 values) below shows large-scale corrections, including one in the mid-‘70s and another in the early ‘90s, the result of speculation driving overbuilding, says the Canada Mortgage and Housing Corporation. Gains in recent years have raised alarm bells with some market watchers predicting another correction is on the way. Despite a predicted decline in sales activity for 2017, most of Ontario’s housing markets won’t experience price declines this year. This is particularly true for homes located in the Greater Toronto Area and in the larger Ontario region known as the Golden Horseshoe. This is due, primarily, to a pronounced lack of supply of housing stock, particularly for low-density, single-family detached homes. This lack of supply means that seller’s are sitting pretty in a very heated seller’s market, which is measured by the months of inventory (ROI) ratio. In Toronto, demand is at an all time high while supply is shrinking. 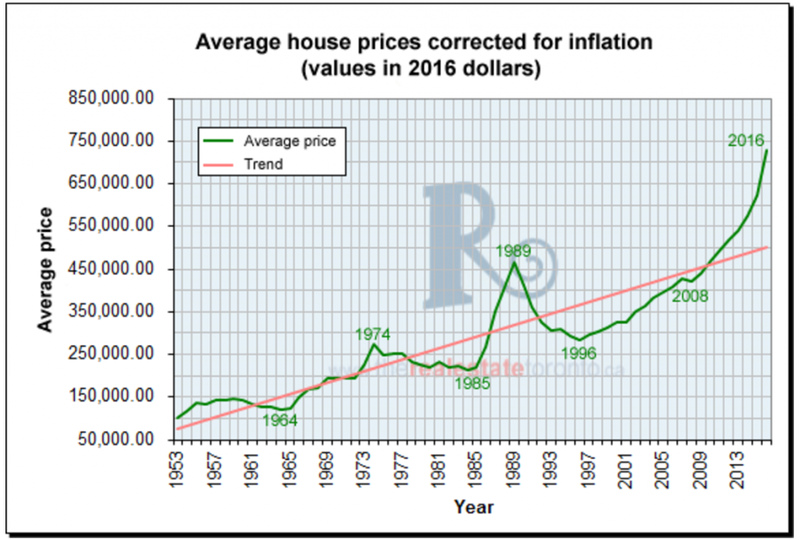 We are witnessing probably the worst real estate bubble in history. The question is will this market ever going to cool down? 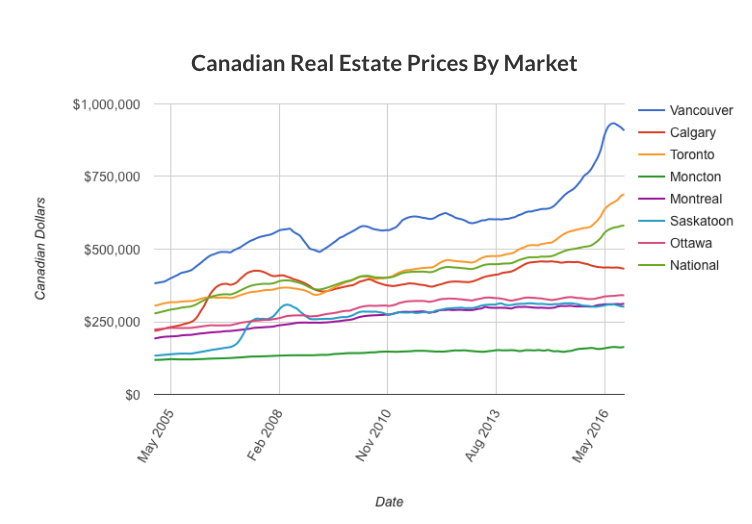 Housing markets as we all know are not as prone to bubbles, and to burst bubbles, when compared to other financial markets. 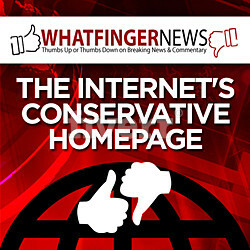 This is, in part, due to the large transaction and carrying costs associated with owning real property. However, over the last few decades, the combination of very low interest rates and the regulations that allow easier access to mortgage financing has prompted more borrowers to enter the real estate market and this has put increased pressure on demand. For a crash to occur, there would need to a sudden drop in demand, such as a fairly quick rise in interest rates or significant a tightening of credit standards. Is Freelance Work the Future of the Job Market?